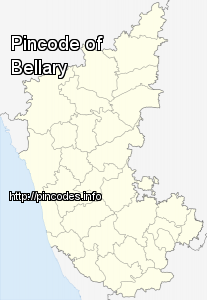 Bellary is a historic city in Ballari district in Karnataka state, India. It is 306 kilometres from Bangalore,the state capital. There are several legends explaining how Ballari got its name. The first is that a few devout travelling merchants halting in Ballari, could not find a Shiva Linga for their worship. They then installed a balla (a measuring cup or seru used to measure grain) upside down as a Shiva Linga and worshiped it. Eventually, that place was turned into a temple dedicated to Balleshwara or Shiva, which became distorted to Malleshwara', and thus Ballari derives its name from this temple. A constable and a clerk in a Bellary police station have been arrested for allegedly sexually harassing a woman colleague. Two accused men in murder cases on Friday escaped from the jail here in the early hours of on Friday, a senior police official said.